I was so excited when I stumbled across this book last year. Firstly because it was written by a Kiwi author and set in New Zealand, secondly because it was about a character with the surname Dunstan and thirdly because it was pitched as a 'literary masterpiece'. 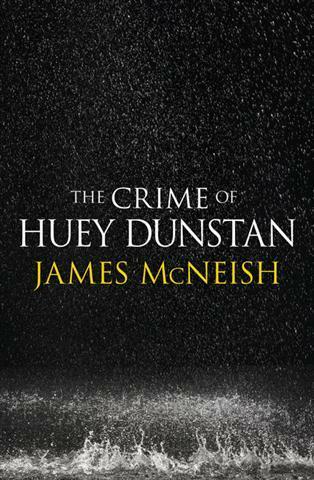 I've just finished it and unfortunately I don't agree that The Crime of Huey Dunstan is a literary masterpiece. The book is narrated by Ches, a blind psychologist specialising in traumatic cases, but now retired. 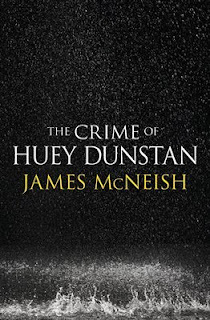 Ches is reflecting on the past and the case of Huey Dunstan, accused of killing another man in cold blood. Ches is brought in as a consultant at first - prior to the trial - but the case keeps gnawing at him and he can't seem to let it go. Ches delves into the concept of buried memory whilst also trying to gain Huey's trust and dig deeper into his past. It was interesting and impressive to learn just how independent Ches was, despite his blindness and I enjoyed the snippets about his marriage and the in-jokes between them. For some reason I thought this novel lacked a solid structure. There were moments of beautiful writing and character insight, however it lacked the punch that crime novels usually deliver. I enjoyed the NZ setting though, and I'm determined now to read more work by our literary neighbours. In summary, I had such high expectations for this book that I couldn't help be disappointed after reading it. You're welcome, have you read it? What did you think?